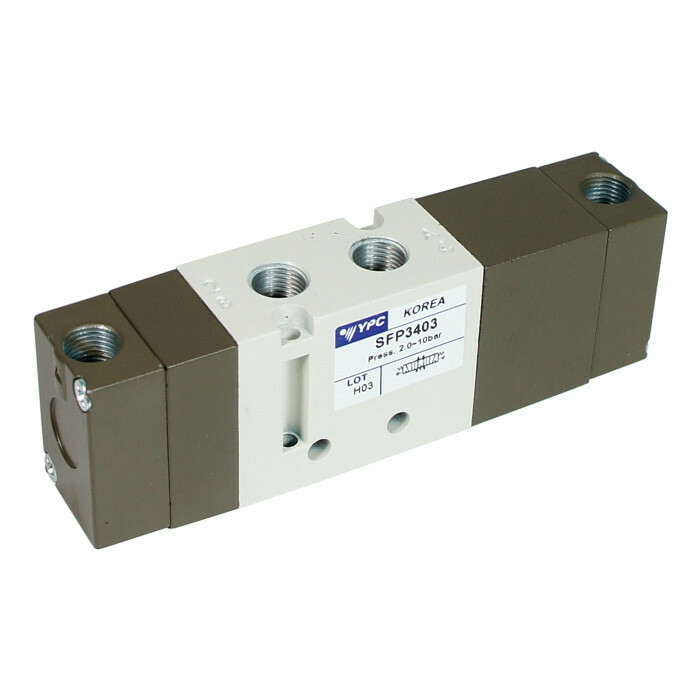 Pneumatic valve SFP3403 with 5/3 open center function, and G 1/8 port size. Body width 23 mm, 760 l/min. Flow Control Valve 10mm 1/4"